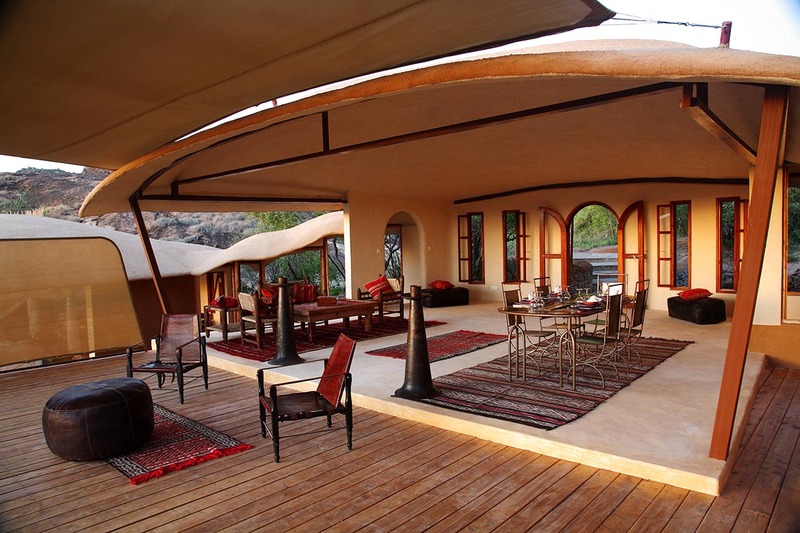 If you want a private Kenya safari house, pick a family villa at Saruni Samburu. 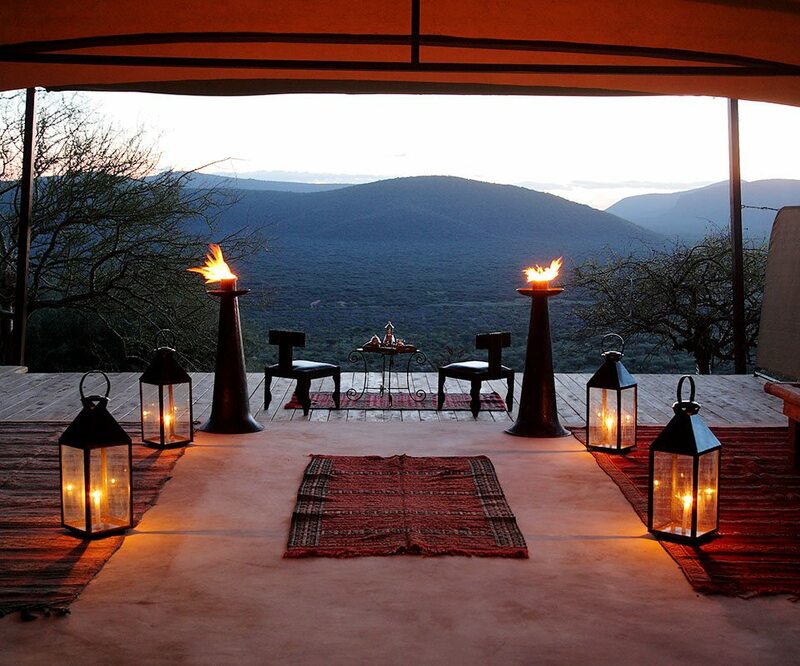 The four options overlook 8,000ha of exclusive and untouched conservancy bordering Samburu National Park. 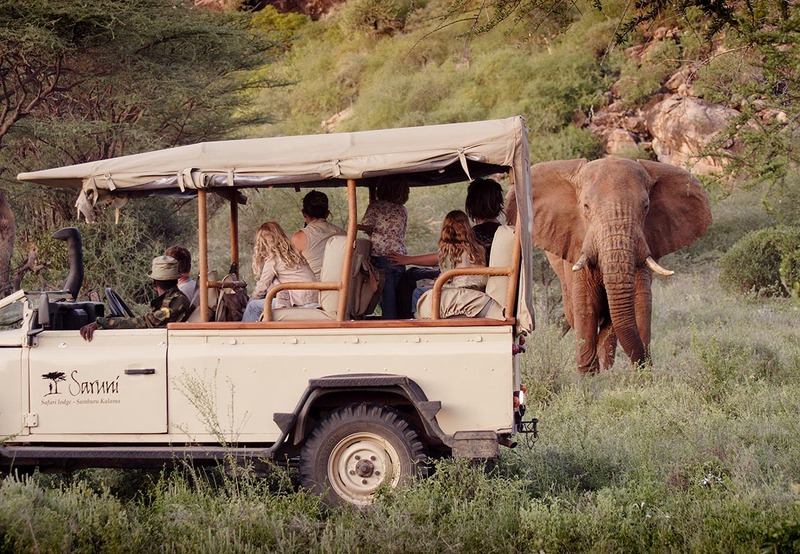 Enjoy flexible mealtimes and family-friendly activities that include game drives and warrior-guided bush walks, on which you can challenge the kids to spot the Samburu Special Five. 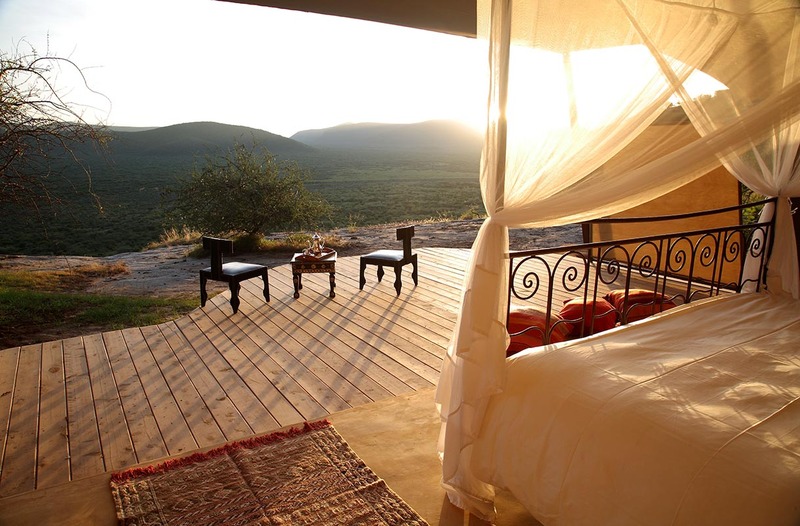 Perched on a rocky outcrop overlooking 8,000ha of wilderness, our family villa at Saruni Samburu has fantastic views. I point out Mount Kenya to the kids, which commands a few seconds of their attention before they ask if they can go swimming in one of the two infinity pools. I’m delighted when my partner decides to join them, leaving me to relax and gaze over these impressive panoramas like a monarch from a castle.Feeling indulgent, I decide to book a complimentary massage and a few minutes later the friendly masseuse arrives at our villa. As I’m lying there, I completely relax as my mind drifts away with the murmur of the wind. 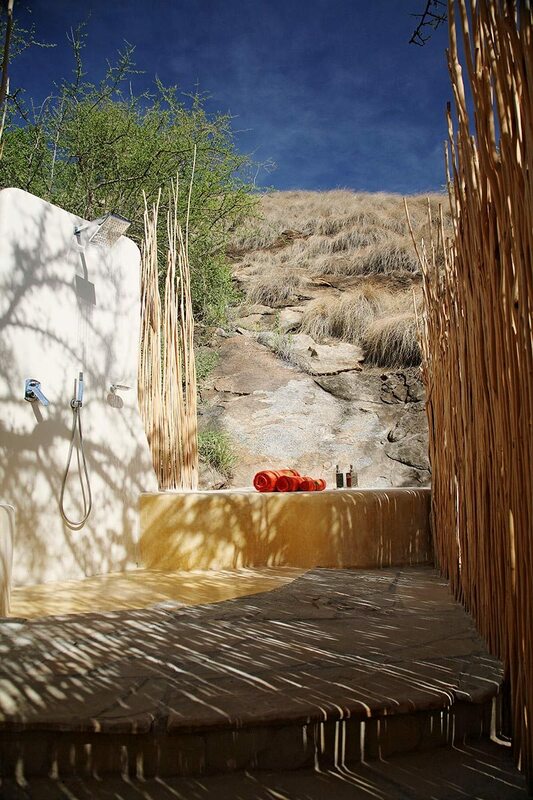 Perched on a rocky outcrop overlooking 8,000ha of wilderness, our family villa at Saruni Samburu has fantastic views. I point out Mount Kenya to the kids, which commands a few seconds of their attention before they ask if they can go swimming in one of the two infinity pools. I’m delighted when my partner decides to join them, leaving me to relax and gaze over these impressive panoramas like a monarch from a castle. Feeling indulgent, I decide to book a complimentary massage and a few minutes later the friendly masseuse arrives at our villa. As I’m lying there, I completely relax as my mind drifts away with the murmur of the wind. Cocooned by the softest linen, I drift into a peaceful sleep, only waking when I hear the trill of a distant bird. The views from here are so beautiful that it feels like I’m still in a dream. I pad across patterned rugs to the bathroom, where the tub overlooks the same wonderful views of pristine wilderness. I’m soaking it all in when the pitter-patter of footsteps and childish voices announces the return of my family, who excitedly tell me that they want to try out the Warriors Academy.As I wrap myself in a terry-cloth robe, I tell them to give me five minutes to change. 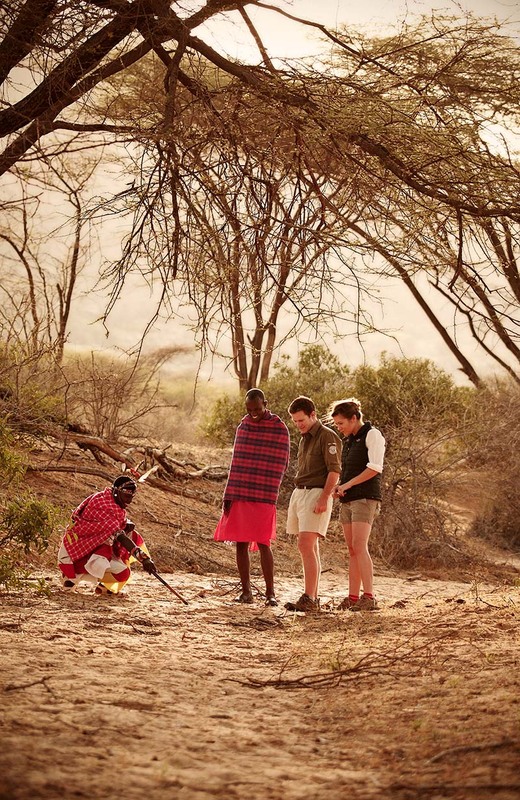 My partner, already in an adventurous mood, gets the kids ready in their safari gear, and we walk (well, the adults do at least) to meet our Samburu warrior, Lesukat. We’re all eager pupils as he teaches us the art of making a bow and arrow, how to track animals and building a fire. We even get to throw a spear, something my son particularly excels at. 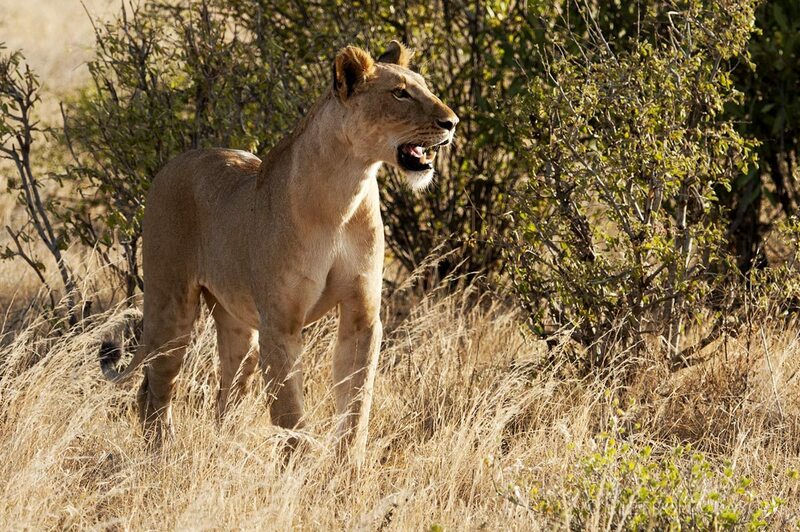 We’re now ready to face the wild – and just in time for our afternoon game drive! Cocooned by the softest linen, I drift into a peaceful sleep, only waking when I hear the trill of a distant bird. The views from here are so beautiful that it feels like I’m still in a dream. I pad across patterned rugs to the bathroom, where the tub overlooks the same wonderful views of pristine wilderness. I’m soaking it all in when the pitter-patter of footsteps and childish voices announces the return of my family, who excitedly tell me that they want to try out the Warriors Academy. As I wrap myself in a terry-cloth robe, I tell them to give me five minutes to change. 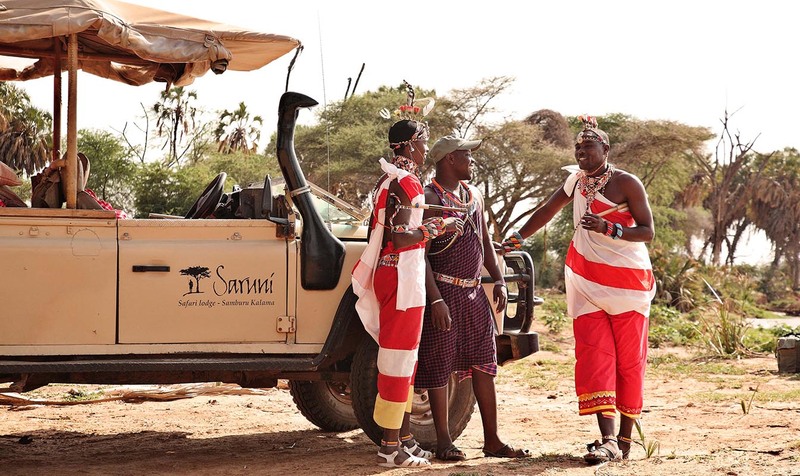 My partner, already in an adventurous mood, gets the kids ready in their safari gear, and we walk (well, the adults do at least) to meet our Samburu warrior, Lesukat. We’re all eager pupils as he teaches us the art of making a bow and arrow, how to track animals and building a fire. We even get to throw a spear, something my son particularly excels at. 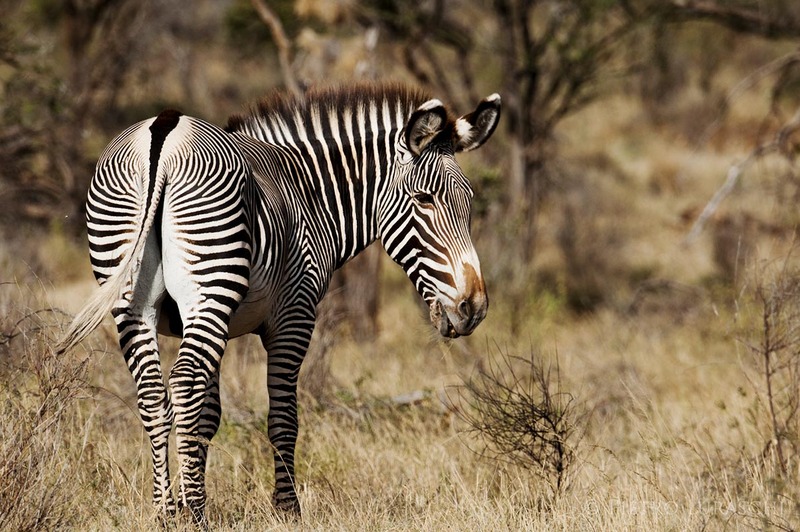 We’re now ready to face the wild – and just in time for our afternoon game drive! Perched up on a hill with jaw-dropping views, our family villa at Saruni Samburu was like an incubating nest, drawing our family together whether we were eating on the deck under the stars, swimming in one of the infinity pools, learning how to be a Samburu warrior or tracking animals in the bush on walking safaris.That said, with two separate bedrooms and lots of child-friendly activities, we had ample time and space to be alone too, giving us the chance to reconnect as a couple, while the kids literally had the time of their lives.Being just next to Samburu National Reserve, we could spread our wings too, exploring not just the Kalama Conservancy the lodge is located in but beyond – and at our own pace. This meant we had all the time in the world to find the Samburu Special Five – Grevy’s zebra, reticulated giraffe, beisa oryx, Somali ostrich and gerenuk – and the kids wouldn’t let us return for dinner until we’d eliminated all of them from our list. Of course, seeing wild dog and elephant was a highlight too, and knowing that the staff had the kids completely under their spell while we celebrated our anniversary, another. Perched up on a hill with jaw-dropping views, our family villa at Saruni Samburu was like an incubating nest, drawing our family together whether we were eating on the deck under the stars, swimming in one of the infinity pools, learning how to be a Samburu warrior or tracking animals in the bush on walking safaris. That said, with two separate bedrooms and lots of child-friendly activities, we had ample time and space to be alone too, giving us the chance to reconnect as a couple, while the kids literally had the time of their lives. 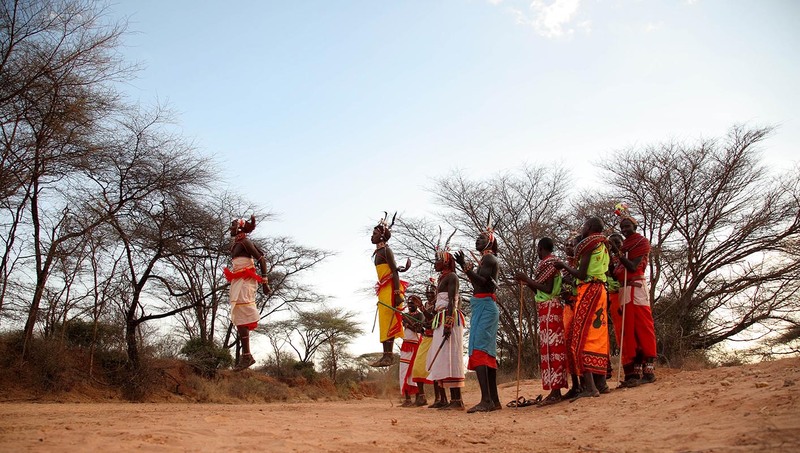 Being just next to Samburu National Reserve, we could spread our wings too, exploring not just the Kalama Conservancy the lodge is located in but beyond – and at our own pace. This meant we had all the time in the world to find the Samburu Special Five – Grevy’s zebra, reticulated giraffe, beisa oryx, Somali ostrich and gerenuk – and the kids wouldn’t let us return for dinner until we’d eliminated all of them from our list. Of course, seeing wild dog and elephant was a highlight too, and knowing that the staff had the kids completely under their spell while we celebrated our anniversary, another. 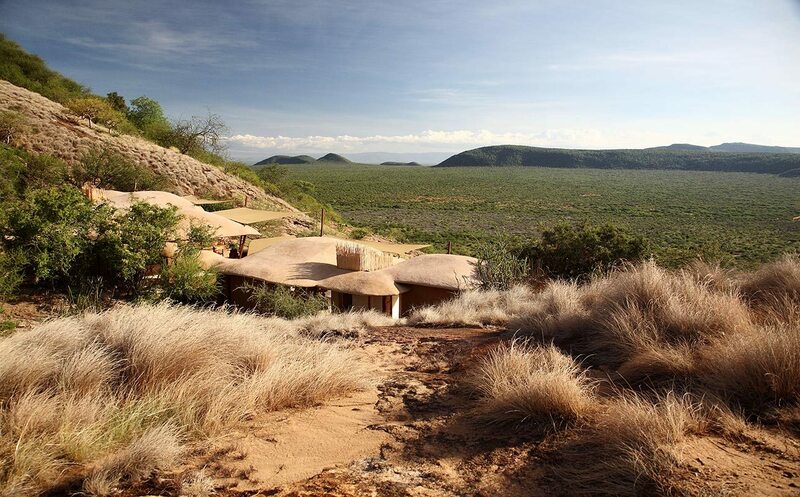 Four private houses set on rocky outcrops with wonderful views over the untouched wilderness of Kalama Conservancy, on the border of Samburu National Reserve. Each includes two separate bedrooms, sleeping four, with private verandahs, and access to two infinity pools and a spa. Exclusive-use safari houses, private vehicle available (additional cost in high season) and complete flexibility over meals and activity schedules. Game drives, night drives, walking safaris, birding, stargazing, bush meals, bush sundowners, spa treatments (additional cost), swimming, helicopter excursions (additional cost), Warriors Academy, rock-art tours and Mount Ololokwe excursion (additional cost). Children welcome, with four family villas available. Warriors Academy available, where kids (and adults) can learn bush skills. 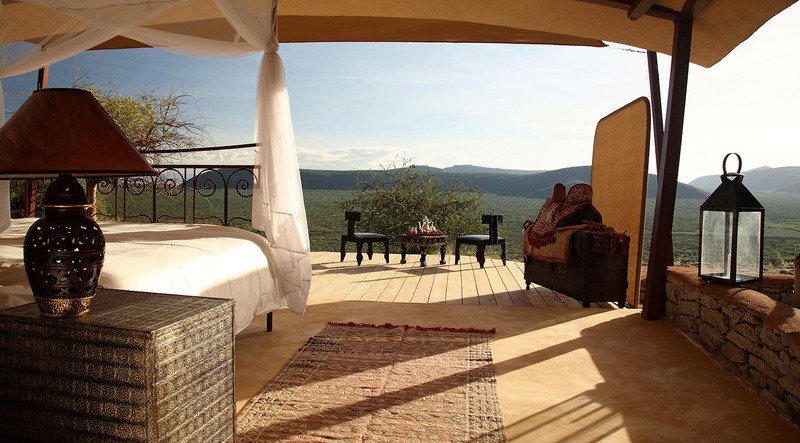 This is prime time for a luxury safari in northern Kenya. The weather is dry and cool, making conditions perfect in this arid part of the country. It’s just after the long rains, so while the bush is initially lush it gets progressively sparser, making wildlife easier to spot. A trip to northern Kenya at this time of year is best combined with a visit to the Masai Mara, where you’ll be able to see the Great Wildebeest Migration from July to September. In this period following the short rains, the dry season takes hold and the vegetation thins out completely. 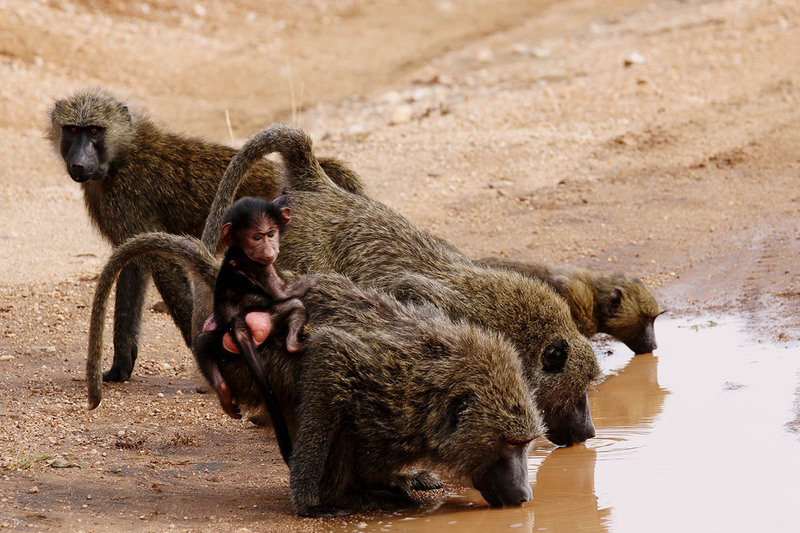 The animals congregate near water sources – particularly the Ngiro River, which makes its way from the Laikipia highlands to Samburu and beyond – so the game viewing is excellent, plus there are fewer people around to share your sightings with. To round off your safari experience, visit Tanzania now too, where you’ll catch the southern Serengeti leg of the Great Wildebeest Migration, as well as the wildebeest’s dramatic birthing season. Kenya’s long rains, which fall steadily throughout April and May, are followed by short rains in November – generally quick afternoon bursts. While muddy roads can make getting around a bit tricky, the drier north is the best place to be in Kenya at this time of year. 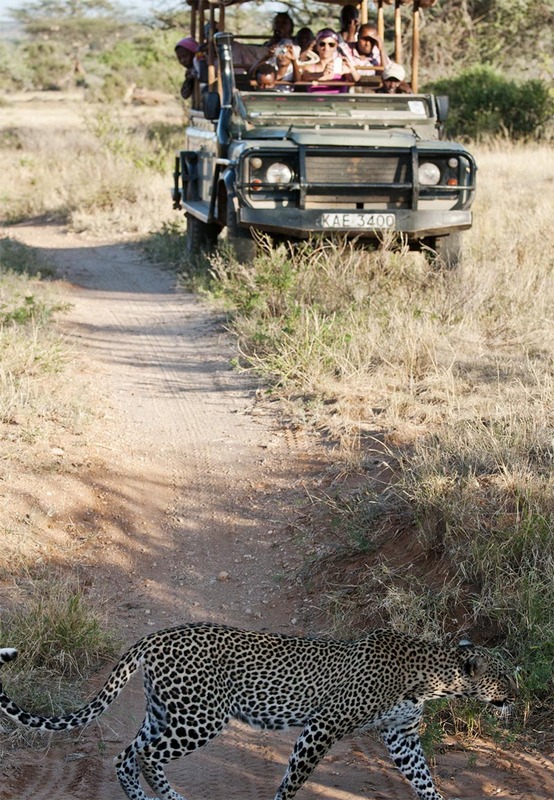 It’s a quiet time for tourism, so wildlife experiences are exclusive, and as the vegetation is in a growth period, game sightings are plentiful. All in all visitors get good-value holidays now, provided they pack their sense of humour (and their gum boots! ).